General V.P. Malik (retd) says Pakistan could retaliate via strong military action or by activating terrorists who could carry out attacks across India. 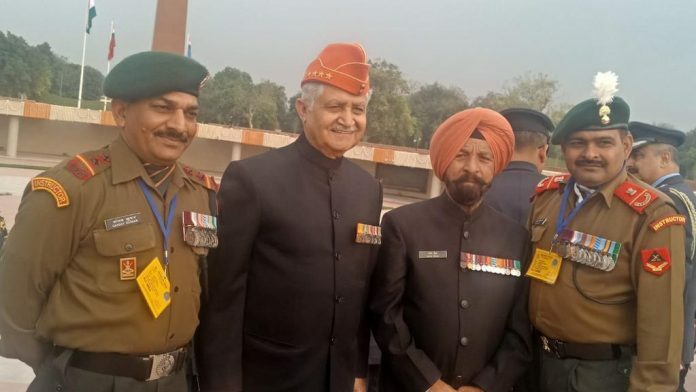 New Delhi: Former Chief of Army Staff General Ved Prakash Malik (retd) has said that the strike carried out by the Indian Air Force on Pakistan’s Balakot town Tuesday should not be seen as a war against Pakistan, but against the terror outfits based in that country. “This is not a war or a military strike. This should be seen as a counter-terror strike. The objective was to eliminate the terror outfits and terrorists that are based there,” Malik, who was Army chief during the Kargil War, told ThePrint. Malik also said Pakistan can retaliate strongly to the attacks “if it feels that its borders have been violated and if some of its citizens have been killed”. “But it is not going to be easy for Pakistanis because they cannot show the terrorists as their citizens, so it will not be easy for them to own up,” he said. The General also stressed that Pakistan now has two options — either it can retaliate with strong military action or it can activate the JeM and unleash its terrorist activities on Kashmir and other parts of India. Malik said it was imperative for India to take action at this time, when the international community is supporting it in its stance on counter-terrorism, and when the public sentiment is that of taking action against the perpetrators of the Pulwama terror attack that killed 40 CRPF personnel less than two weeks ago. “Everyone thought that the Pulwama attack was the last straw on the camel’s back. Action had to be taken, and it’s good the government has taken a measured and calculated response, which was necessary,” he said.